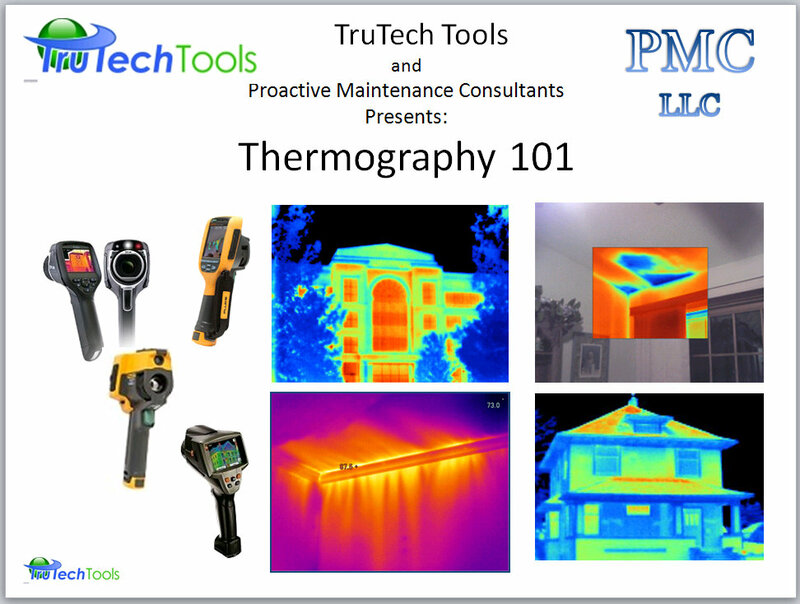 Click the Link below for a copy of the slides used in TruTech Tools Thermal Imaging 101 training by John Pratten, III. Sign up for FREE LIVE session HERE (click on the Thermal Imaging tab). or Watch a recorded session HERE. Participants in this course will come away with a better understand of the science behind and practical uses of Thermal Imaging. Topics will include factors for making better, more meaningful thermal images, common thermal inspection scenarios, and help in choosing a Thermal Imager to suit your needs. John has conducted thermography training around the world, in the fundamentals of IR and how to set up Predictive Maintenance programs and has trained in building science working closely with State Agencies. John has authored a number of published articles and has a patent in the area of IR. Prior to founding Proactive Maintenance Consultants, LLC , John worked for Fluke Corporation for 10 years as a Thermography Specialist and Trainer and Motorola Semiconductor for 19 years in a variety of sales and management positions. He has been a 25 year member of the Technical Advisory board for his local Technical College. The Professional Thermographers Association’s Visitors Center has been designed to provide information to the public regarding the PTA and the thermography industry. This visitors center is also designed to allow members of the thermography community to express general comments and opinions about thermal imaging and thermography. Under proper conditions, thermal imaging may be used to remotely detect evidence of a wide variety of gas leaks including sulphur hexafluoride (SF6) and ammonia.